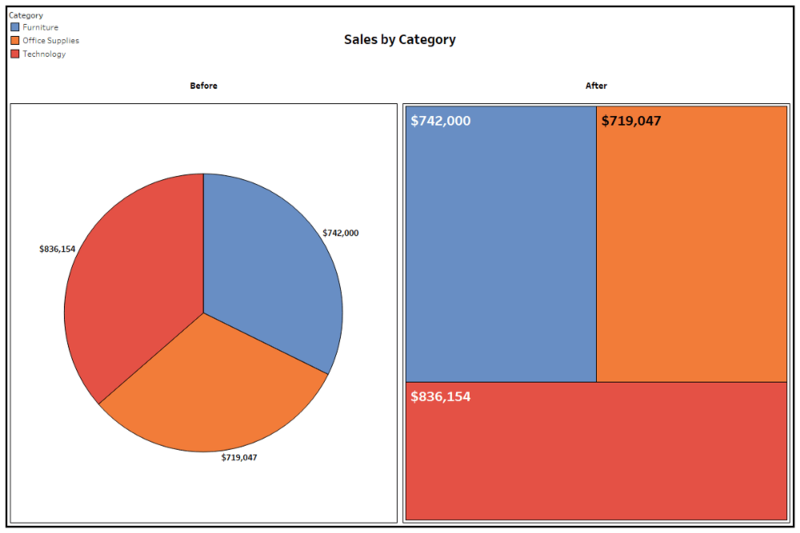 Every time I see a 3D pie chart made in Excel, I die a little on the inside. 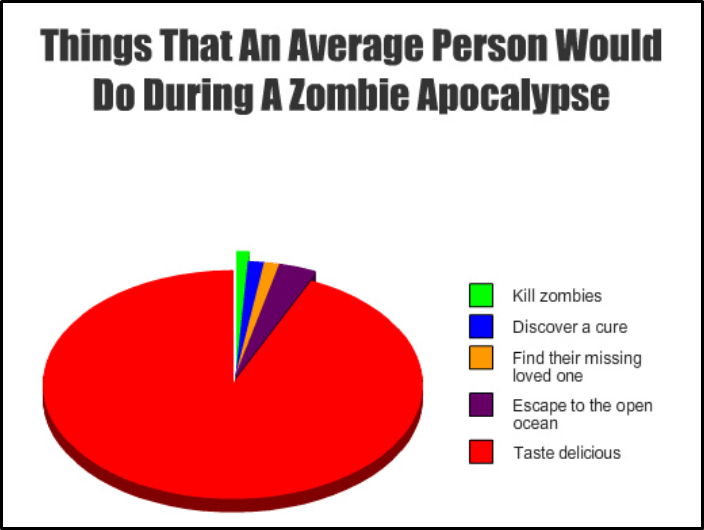 Working in data visualization, you hear all sorts of opinions on pie charts. Some people really like them. Some people feel they should never be used. Mathematician John Tukey felt that there was no data displayed in a pie-chart that couldn’t be better displayed in another type of chart. 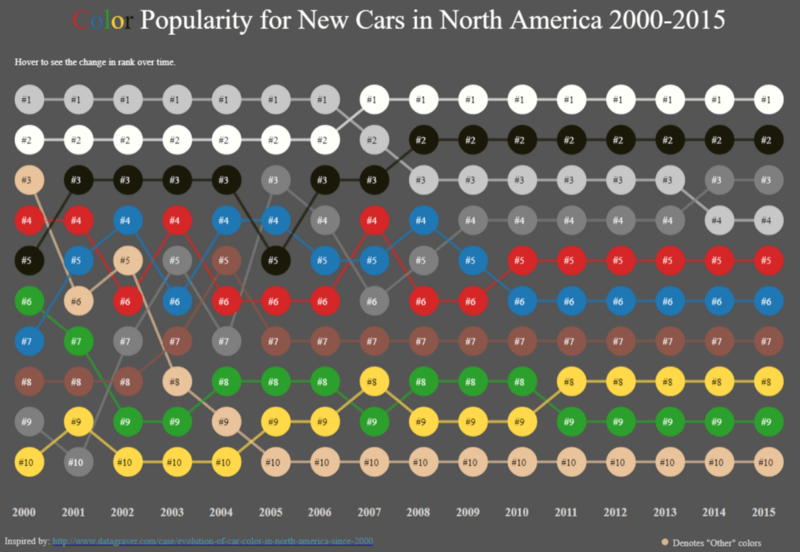 Unlike Tukey and design theorist Edward Tufte—who said, “The only worse design than a pie chart is several of them”—I am not of the opinion that pie charts should never be used. I just think they should be used less often. I have sensed similar feelings toward Excel spreadsheets. They have even earned the nickname “walls of data.” The connection here is that pie charts and Excel spreadsheets are both overused and stretched to do things they were not meant to do. However, just like you wouldn’t remove colors from the painter’s palette and say, “No more green for you!” I don’t think the solution is to delete Excel and pie charts off everyone’s computer. Perhaps it’s more about making sure the painter has more colors to pick from. 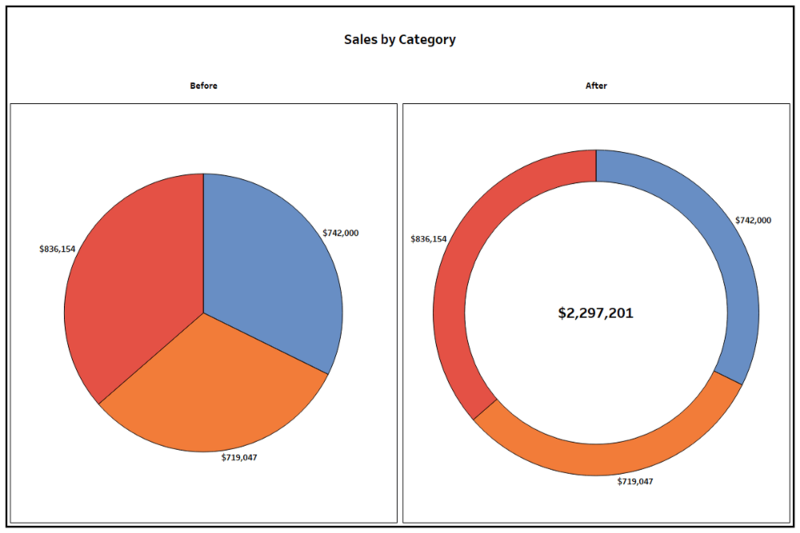 One of the most common abuses of pie charts is to use many of them together to display change over time or across categories. If the primary message you want to send to your viewer is variance, it’s helpful to know that humans are really good at detecting and valuing the distance between objects. The dumbbell chart, also known as the DNA chart, is a great way to show change by using visual lengths. Technically this chart is a tri-bell rather than a dumbbell, but the point is that it gives the information some dimension. 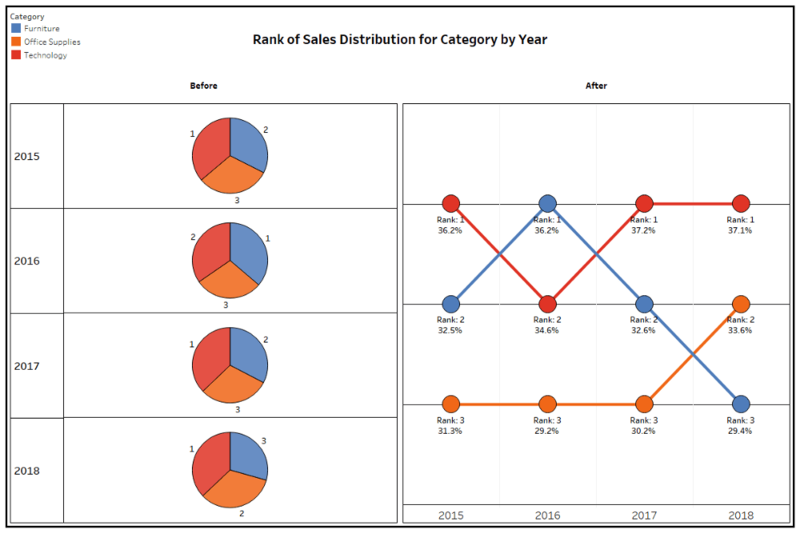 From a visual perspective with the dumbbell/tri-bell presentation, it is easy to see that in 2018, furniture had a lower sales distribution than office supplies and technology. By contrast, the pies all look like peace signs and it is really hard to know both the rank across the categories and how they have changed year over year. 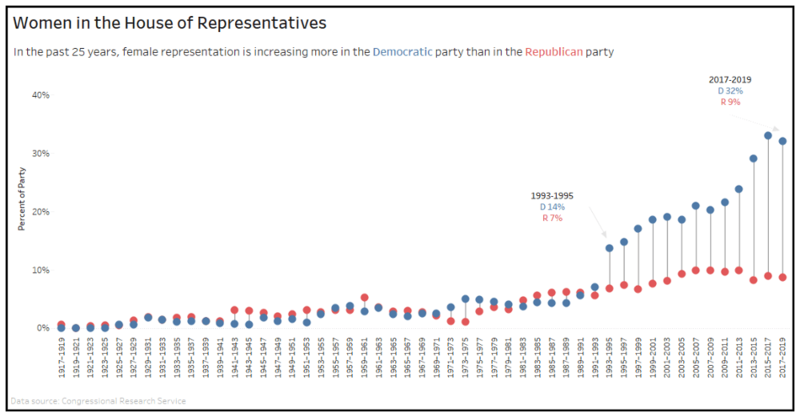 The greatest pro for the bump chart is that it’s really effective at visualizing ranks. But, for the cons, they can get noisy if ranks change a lot or if you have many categories. And like the dumbbell chart, viewers likely won’t realize you are comparing parts with the whole. The first two suggestions are certainly different approaches to variance and ranking, but sometimes you need a simple way to convey the parts with the whole. It may be important for a viewer to quickly know that something adds up to 100 percent. And maybe you just like the shape of circles because they symbolize many good things, like the sun or wheels—or donuts. Because people are so overexposed to pie charts early and often throughout their lifetimes, there’s a key advantage in translating the info to a donut—it speeds up the time it takes the viewer to decode the parts and the whole of the visualization. The pros of a donut chart are that it’s effective at showing parts within a whole, but unlike a pie chart, it frees up white space at the core to throw in a total, call out a number, or add another data marker. It can also be used as a gauge to call out a single percentage. The cons are that it’s hard to interpret things like variance and rank, and humans generally aren’t as good at registering the differences in the ring’s filled-in angle area as with other easy-comparison formats like bar charts. 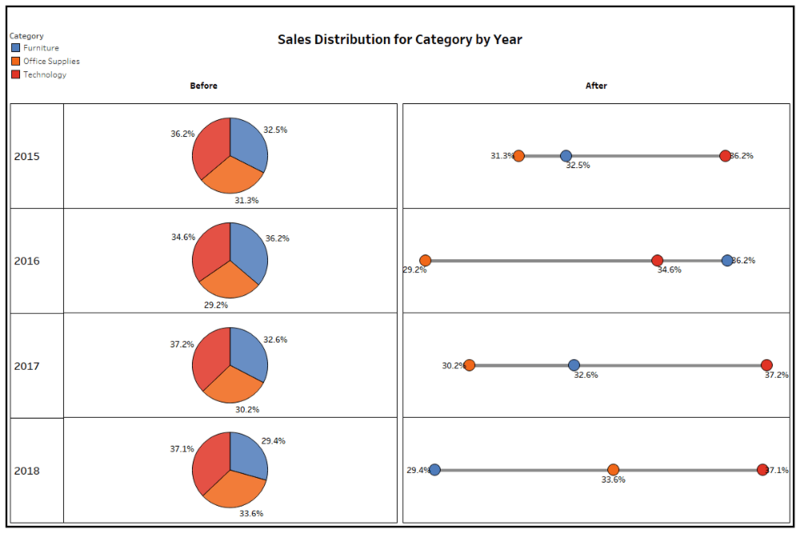 In addition to the pro of displaying data with area space rather than angles, treemaps are more useful than pie charts when there are more than five categories (avoiding the sometimes hard-to-label pie slivers) and in visualizing subcategories within categories. The main con is that people are much less familiar with this format. 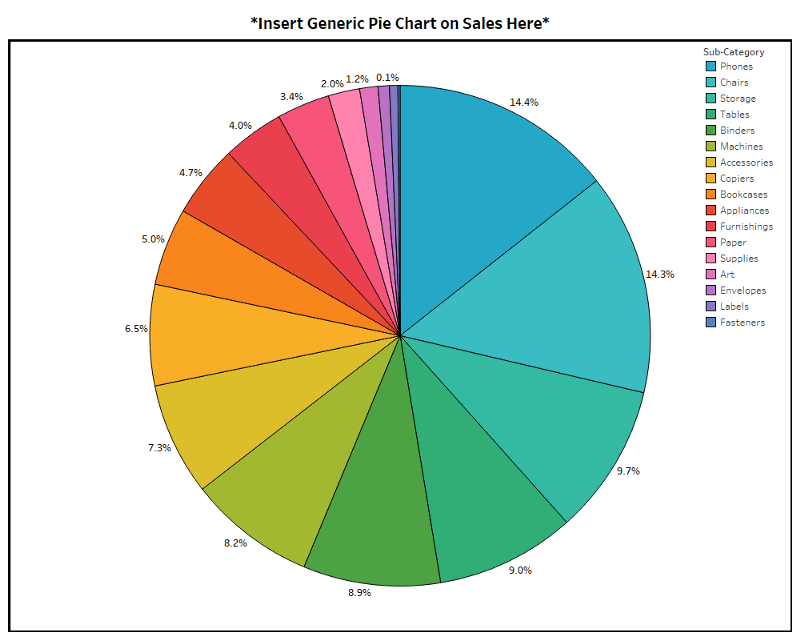 The waffle chart is a really fun chart and probably my favorite alternative to pie charts—and not just because it’s also named after food. Because it’s typically made with 100 squares representing the whole, it can be shaded or filled based on the relation of several parts to a whole, just like a pie chart—but it’s also good for displaying a single percentage. The key pro is its diversity. It can show individual parts of a whole and compare single percentages, but another advantage—similar to treemaps—is that proportions are more clearly represented by area instead of angles. The cons are that it becomes too complicated when too many segments are involved and the individualized spaces don’t leave a good spot to put numbers or much text within the visual itself. 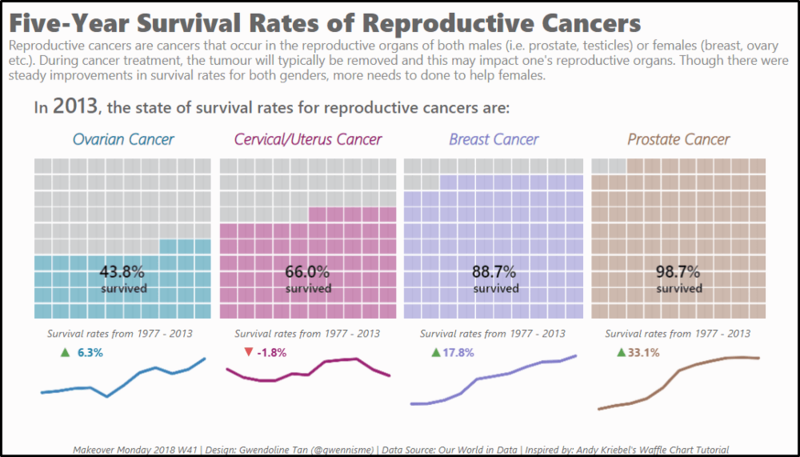 These are only a handful of diverse and creative ways you can visualize data. I also considered other unusual diagram alternatives: Marimekko charts, Sankey flow diagrams, radial pie charts, and sunburst charts.